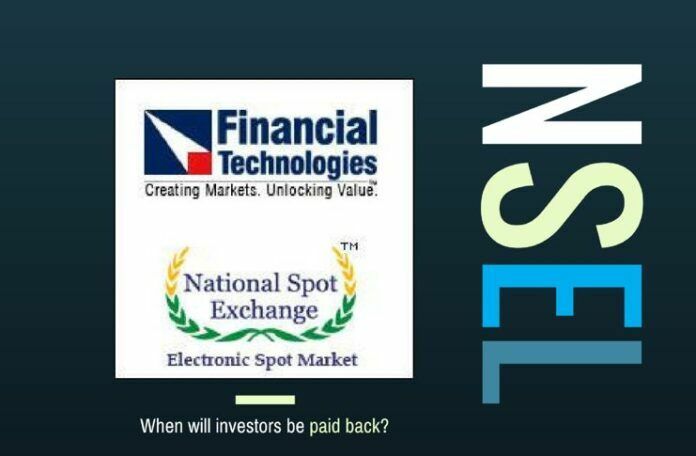 Home Business NSEL Crisis : When will investors be paid back? [dropcap color=”#008040″ boxed=”yes” boxed_radius=”8px” class=”” id=””]I[/dropcap]t has been over 3 years since the Rs. 5600 crores ($838 million) payment crisis at the now defunct NSEL (National Spot Exchange Ltd) a commodity trading exchange. There have been agitations by investors, multiple high profile arrests, property attachments, numerous court cases. However, the one major thing missing is that no significant payment has yet been made to the investors so far. Depending on who you speak to, you will get different reasons for what led to the crisis; but each one of these played its part in inflating the bubble to Rs.5600 crores ($838 million). investigations by various agencies including Mumbai EOW(Economic Offences Wing), FIU (Financial Intelligence Unit), CBI (Central Bureau of Investigation) & ED (Enforcement Directorate) . For any person who has been cheated out of their money, the above seems to be an outstanding list of actions that could help them recover their hard earned money. Unfortunately, that is not the case for investors of NSEL. Despite what seems to be a comprehensive set of steps taken, the investors are hardly any closer to recovering their money. Some investors even feel that the situation has continued to become more convoluted due to the judicial process with no hopes of recovery in sight. In such a situation what practical steps can be taken to speed up the process of recovery so that investors get their money back? 1. The conversion rate used in this article is 1 USD = 66.84 Rupees. 2. Text in Blue points to additional data on the topic. Aashish is a technology & finance professional with many years of global experience in multiple roles. He is a frequent contributor on Banking, Money, Investing, Technology and Education. Next articleIndoPak2016: Musharraf to not speak – chicken or disinvited? The law is the same for all – Did Ramesh Abhishek see it that way? unfortunately that’s not how our Judicial system works. I have already submitted comment, but when I posted, remark came where is comment? Looking to past 3 years fighting with state and central govt, what is the out put? Many investor die due to high tension of loosing hard earn money.& result may come after all investor will die. Where is law and justice ? Why so much lengthy period of time? Even govt. change in 5 years? What is the value of BJP promise? People give lot up votes to BJP, with expect ion corruption will minimise . What happen,now you are in Delhi,laws are in your hand. Even though no out put. What it shows??? ?